Ries, L. N. A., J. L. Steenwyk, P. A. Castro, P. B. A. Lima, F. Almeida, L. J. Assis, A. O. Manfiolli, A. Takahashi-Nakaguchi, Y. Kusuya, D. Hagiwara, H. Takahashi, X. Wang, J. J. Obar, A. Rokas, & G. H. Goldman (2019). Nutritional heterogeneity among Aspergillus fumigatus strains has consequences for virulence in a strain- and host-dependent manner. Front. Microbiol. : in press. Gibbons, J. G., M. A. Klich and A. Rokas (2010). Developing highly conserved microsatellite markers: a case study in the filamentous fungal genus Aspergillus. Mol. Ecol. Resources 10: 404-408. Gibbons, J. G., E. Janson, C. T. Hittinger, M. Johnston, P. Abbot and A. Rokas (2009). Rokas, A., R. J. Atkinson, J.-L. Nieves-Aldrey, S. A. West and G. N. Stone (2002). Rokas, A., & P. S. Soltis, Eds. (2015). Special issue on Genomes and Evolution. Curr. Opin. Genet. Dev., volume 35: 1-126. Rokas, A. (2016). Systematics in the age of genomics. In “Next Generation Systematics“, Olson P. D., J. Hughes, & J. A. Cotton (Eds. ), Cambridge University Press, pp. 219-228. Rokas, A. & S. Chatzimanolis (2008). 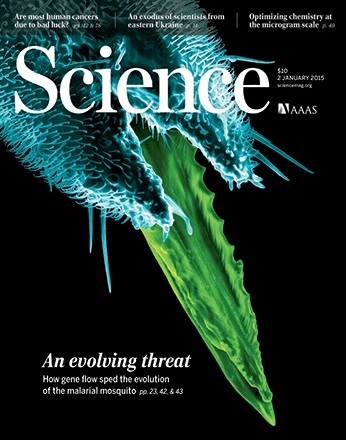 From gene-scale to genome-scale phylogenetics; the data flood in but the challenges remain. In “Phylogenomics“, Murphy, W. J. (Ed. ), Methods in Molecular Biology series, Humana Press, pp. 1-12. Geiser, D. M., R. A. Samson, J. Varga, A. Rokas, & S. M. Witiak (2008). A review of molecular phylogenetics in Aspergillus, and prospects for a robust genus-wide phylogeny. In “Aspergillus in the genomics era“, Varga, J. & R. A. Sampson (Eds. ), Wageningen Academic Publishers, pp. 17-32. Rokas, A. & J. E. Galagan (2007). The Aspergillus nidulans genome and comparative analysis with other Aspergilli. In “The Aspergilli: Genomics, Medical Applications, Biotechnology, and Research Methods”, Osmani, S. A. & G. H. Goldman (Eds. ), CRC Press, pp. 43-55. Atkinson, R. J., A. Rokas, & G. N. Stone (2007). Longitudinal patterns in species richness and genetic diversity in European oaks and oak gallwasps. In: “Phylogeography in southern European refugia: Evolutionary Perspectives on the origins and conservation of European Biodiversity“, Weiss S. & N. Ferrand (Eds. ), Springer Netherlands, pp. 127-151. Stone, G. N., R. J. Atkinson, G. Brown, A. Rokas, & G. Csoka (2003). The population geenetic consequences of range expansion: oak gallwasps as a model system. In: “Genes in the Environment“, Hails R. S., J. E. Beringer, & H. C. J. Godfray (Eds. ), Blackwell and the British Ecological Society, pp. 46-62. Rokas, A. (2004). What determines the direction of evolutionary change? Book Review of: Biased Embryos and Evolution by W. Arthur, Cambridge University Press, 2004. Trends Ecol. Evol. 19: 287-288. Rokas, A. (2002). Sexual selection driving spider diversification. Trends Ecol. Evol. 17: 304. Rokas, A. (2001). Getting it right for the wrong reason. Trends Ecol. Evol. 16: 668. Rokas, A. (2001). What is a character? Book Review of: The Character Concept in Evolutionary Biology by G. P. Wagner (Ed. ), Academic Press, 2000. Trends Ecol. Evol. 16: 590. Rokas, A. (2001). Selfish element wars in a wasp battleground. Trends. Ecol. Evol. 16: 277. Rokas, A. & D. Charlesworth (2001). Book Review of: Molecular Evolution and Phylogenetics by M. Nei and S. Kumar, Oxford University Press, 2000. Genet. Res. 77: 117-119. Rokas, A. (2001). Evolutionary biology meets genomics. Trends Ecol. Evol. 16: 15-16. Rokas, A. & G. McVean (2000). A Bayesian guide to tree felling. Trends Ecol. Evol. 15: 396. Cook, J. M. & A. Rokas (2000). Influential passengers come of age, 1st International Wolbachia Conference, Orthodox Academy, Kolymbari, Crete, Greece, 7-12 June 2000. Trends Genet. 16: 378-379. Rokas, A. (2000). Bacteria altering reproduction in gall wasps or what happens if you don’t take your antibiotics! Cecidology 15: 2-7.